Road trips are part of the fun of many family vacations, but can quickly reduce kids to boredom. Tonia from The Sunny Patch has some great ideas for keeping kids occupied – one of my favorites is making each child a travel binder filled with fun activities and printables that will keep them busy. You can add Mad Lib pages, scavenger hunts, mazes, and games – all easily stored in a binder. Tonia even has a fun collection of printables all ready for you to download and print. 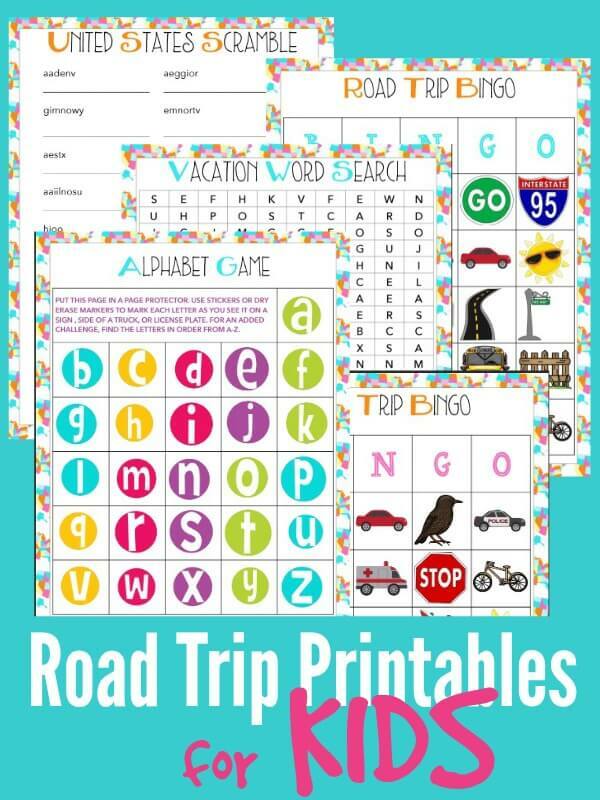 Get started on those kid’s travel binders for your next family road trip with her FREE Travel printables for kids!